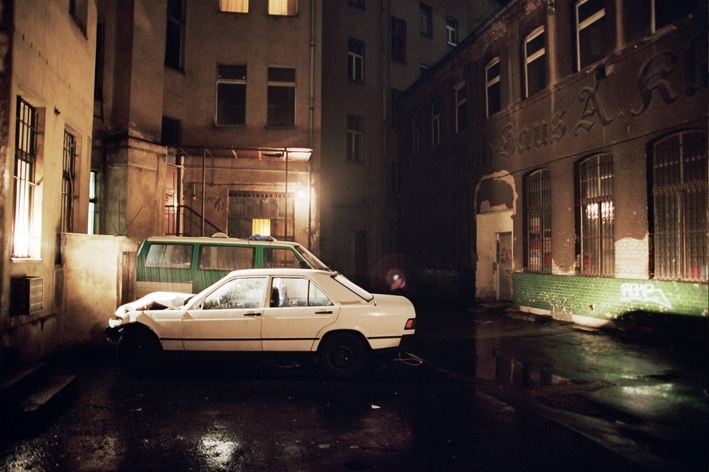 A Mercedes-Benz which has been through a crash is placed in an alleyway with a spotlight coming from inside a building, while the song 'Weeds II (The Origin of the Species)', is playing from the trunk of the car. 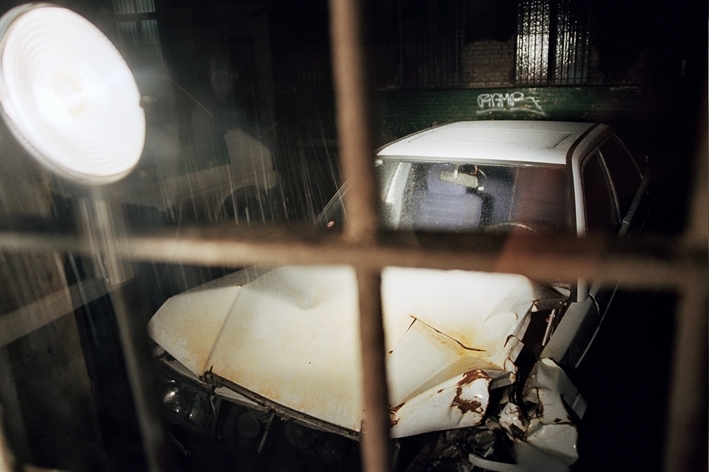 The impact of the car crash could not have happened within the space the car occupies because of the narrowness of the alleyway. 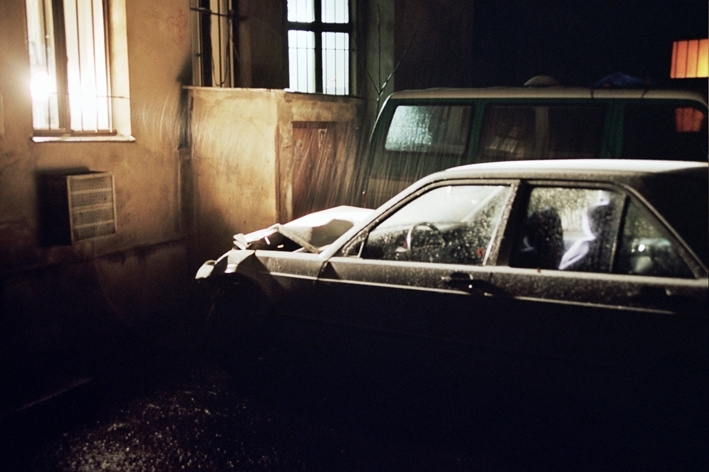 The scene's manipulation lies between what could have happened, would happen and did happen, but is placed so as to deny itself and produce a metaphor instead of a passed event.